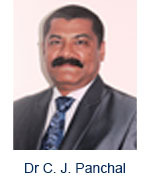 Dr C. J. Panchal is a Professor in the Applied Physics Department of Applied Physics at the University of The M. S. University of Baroda, Vadodara He received his Ph.D. Degree in Electronics from Sardar Patel University in 1995 and has been working as a Professor in The M. S. University of Baroda Institute/University since March 2011. He is having 22 Years of Experience in the field of Semiconductor Device. His Area of Expertise includes: Semiconductor Thin Film Optoelectronics Devices, Sensors and High Power Laser. Diode. She/he is the author of @ 90 research papers, recipient of several Grants from DST, DAE/BRNS, UGC, etc. 5 best research papers awards etc. 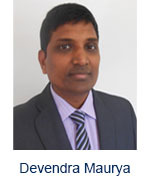 Devendra Maurya is a Research Fellow and Cleanroom Manager in the Electron Science Research Institute at Edith Cowan University, Australia. He received his M.S. (Research) degree in Electronics and Communication Engineering from IIT- Kharagpur, India in 2004. Prior to this, he received his M.Sc. degree in Electronics from DDU Gorakhpur University, India. His M.S. thesis work led to the development of India’s first silicon-MEMS vaporizing liquid microthruster for micro/nano satellites. He has worked in academia and industry of international fame such as Monash University, Australia, Melbourne Centre for Nanofabrication, Australia, A*STAR-Institute of Materials Research and Engineering, Singapore, Fluidigm Singapore and IIT-Kharagpur, India. He is having more than 14 years of research experience in the field of nanotechnology, MEMS, microsensors, micro/nanofluidics and lab-on-a-chip. His Area of Expertise includes: Nanotechnology, Microsensors, MEMS, micro/nanofluidics and lab-on-a-chip. His research interests lie towards applying the enormous potential of micro/nanotechnologies to tackle the grand challenges of the 21st Century in healthcare, energy, clean water, security, food safety and ICT. He has published over 30 peer-reviewed journal and conference papers with over 200 citations and an h-index of 7. 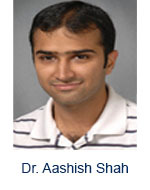 Dr. Aashish Shah is a Staff Engineer/Scientist in the Process Engineering Department of Kulicke and Soffa Industries Inc., Fort Washington, PA, U.S.A. He received his Ph.D. Degree in Mechanical Engineering from the University of Waterloo, Canada in 2010 and completed his postdoctoral research from the University of Waterloo. He has been with the Process R&D department of Kulicke and Soffa since December 2010. Dr. Shah has more than eight years of extensive research experience in the field of semiconductor packaging, primarily microelectronic wire bonding process. His areas of expertise includes: sensor design, fabrication and testing, semiconductor packaging, finite element methods, CMOS process, and statistical data analysis. He has published more than 20 research articles in international journals and conferences, including those in Journal of Applied Physics, Sensors and Actuators, Journal of Physics, Microelectronics Engineering and IEEE Transactions. Executive Director Center for Materials for Electronics Technology (C-MET) (Under Department of Information Technology ,Govt.Of India), India. Research Institute for Solar and Sustainable Energies (RISE), Gwangju Institute of Science and Technology (GIST), Republic of Korea. Laboratory for Electro-Optics Systems (LEOS)-Indian Space Research Organisation, India. Professor, Mechanical and Aerospace Engineering, University of Texas at Arlington. United States of America. Communications Engineering Department, Faculty of Engineering Al Hussien Bin Talal University Jordan. ICT for Energy Efficiency, Microsystems Center, Tyndall National Institute, University College Cork, Ireland. Professor of Physics, NIIT University Neemrana, Rajasthan, India.